Pete Wernick, who is called "Dr. Banjo" by some of his fans, has spent many years touring and recording with the group Hot Rize. He's a talented teacher that makes each lesson easy to understand. 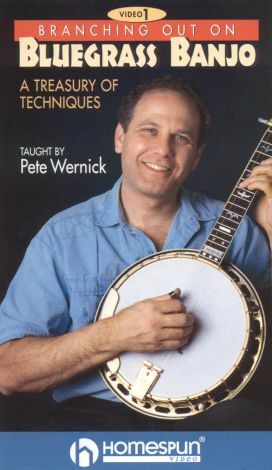 During this program, Wernick shows viewers how to handle dozens of left-hand chord groups, right-hand rolls, classic up-the-neck licks, rhythm patterns and chord vamping for back-up, and movable chord positions. All of the techniques presented are designed to help students improve their solos and learn how to improvise. Entire tunes are taught so that students can begin immediately using their new skills.